Contec Electronics — the preferred Service Bureau for Circuit Board Design. 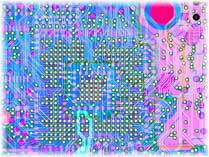 Contec Electronics offers extensive expertise in the custom design of printed circuit boards. Our expert staff will work closely with you, to find the optimum solutions, to meet your particular requirements. We operate as a partner, meaning that we help you make the right choices, in order to obtain cost-effective Circuit Boards, without compromising EMC qualities. Education, extensive experience and thorough understanding of electronics in general enable us to design optimal Circuit Boards. Successfull product design and development begins with quality planning. Our engineers carefully review your existing or new product concept, making recommendations to optimize manufacturability DFM.